As the first phase of the travel exhibition “Risk Factors” – was opened on 15 June and ended 15 July – followed by numerous programs as well. First, a roundtable discussion was organized on 27 June under the title “Who carry over to the other side of the river? Environmentalist movements in Hungary”. The guests talked about the risk factors of environmentalist activism, the Duna-movement, and the important events after the fall of Communism. The discussion was moderated by Szabina Kerényi (COURAGE, MTA TK, Institute of Sociology, Centre for Social Sciences, Hungarian Academy of Sciences), the participants were: Judit Acsády (researcher in the Institue of Sociology, Centre for Social Sciences, Hungarian Academy of Sciences), Tamás Fleischer (researcher in the Institute of World Economics, Centre for Social Sciences, Hungarian Academy of Sciences), Veronika Móra environmentalist expert, and Lilla Proics environmentalist activist. Besides that, also a playhouse took place on 30 June under the title “Be cultural dissenter, too!” for the younger generation. 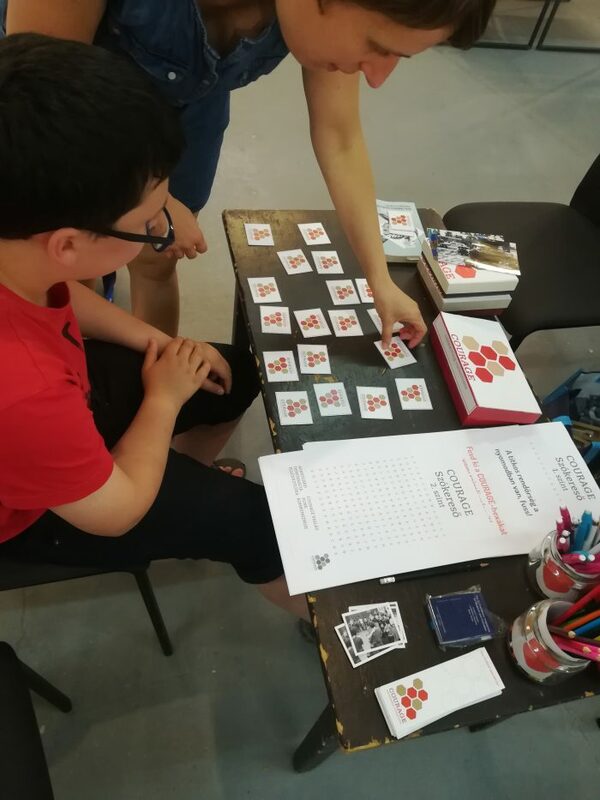 The children and adults had the opportunity to play with the interactive games and got to know better the collections and hidden stories of cultural opposition. Our second talk took place on 4 July titled “Once upon a time: the stake of the opposition during the Kádár-era”. 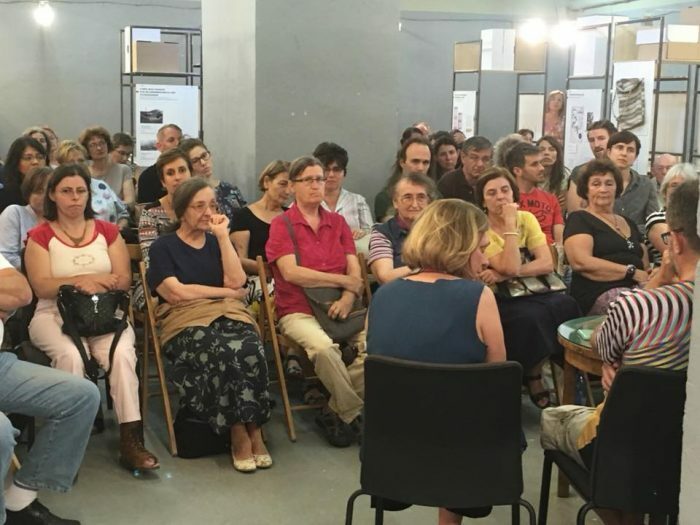 The participants discussed the borders between the political and cultural opposition, the opportunities and risks of the resistance and the civil courage. The discussion was moderated by Éva Kovács COURAGE, MTA TK, Institute of Sociology, Centre for Social Sciences, Hungarian Academy of Sciences), our guests were: writer and poet László Garaczi, writer Noémi Kiss, editor Róbert Pálinkás Szüts, sociologist Olga Tóth. 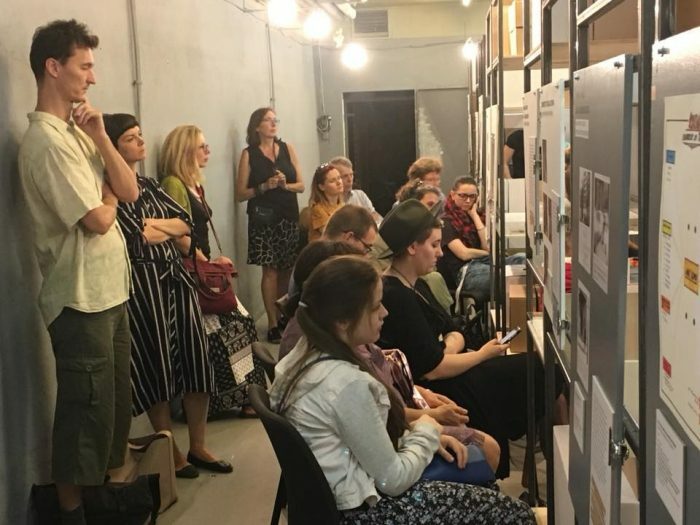 On 15 July, as the final events of the exhibition, curator Nikolett Erőss and Éva Kovács held a guided tour through the exhibition. The evening was finished with a concert by the “Peasants in the atmosphere” band.